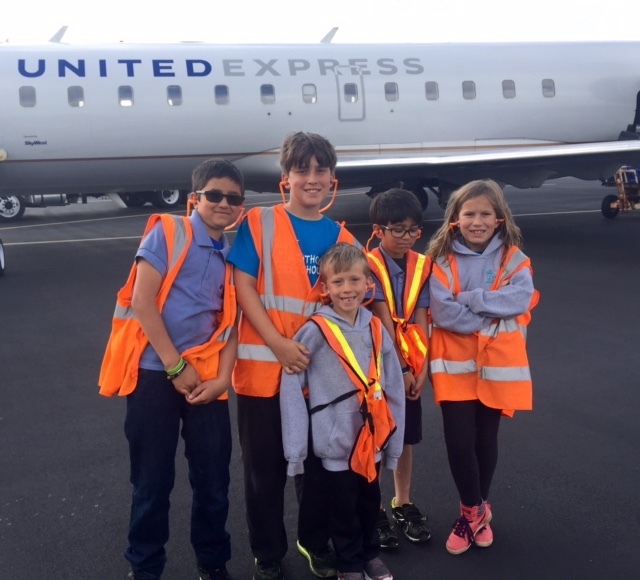 SkyWest people across the system gave their Future Flyers a firsthand look into daily operations through Bring Our Kids to Work Day. 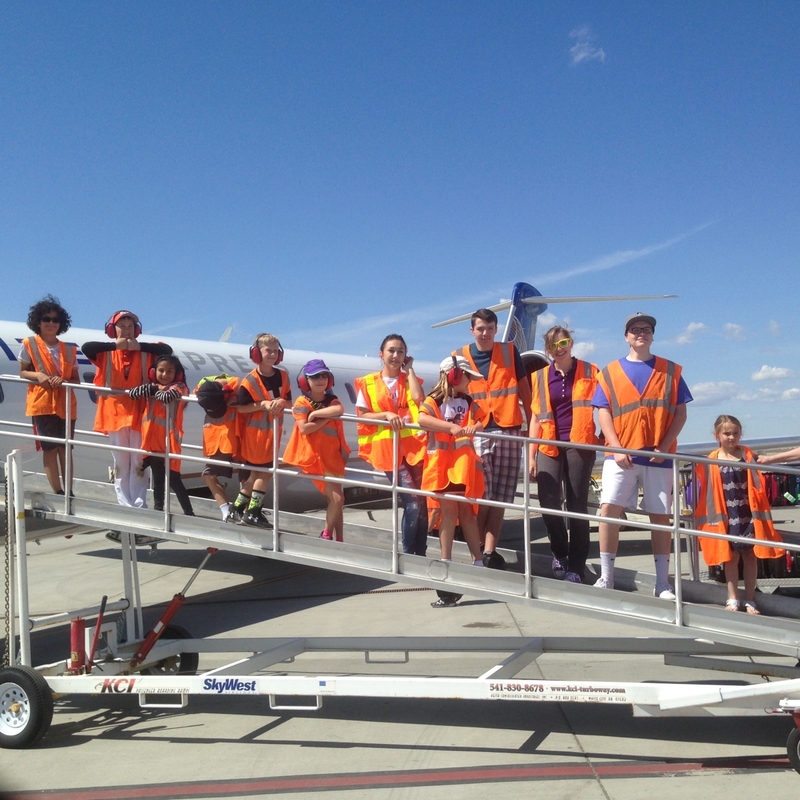 Parents and grandparents participated by showing their kids the hard work they do to make SkyWest great and highlighting the diverse jobs and skill-sets it takes to keep the operation running. 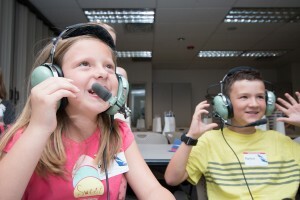 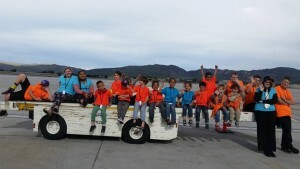 From tracking aircraft mid-flight in the Operations Control Center to learning to marshal aircraft and inspecting aircraft parts, the kids in attendance were able to enjoy a variety of unique experiences to inspire creativity, curiosity and learning. 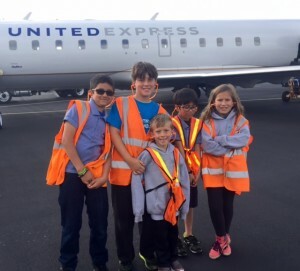 At the North Bend, Oregon (OTH) SkyWest location, children were able to see the entire process of preparing for an arriving and departing aircraft. 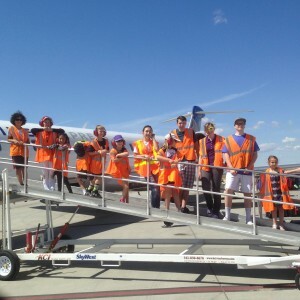 They participated in equipment checks, load planning, ramp set-up, the check-in process and security screening. 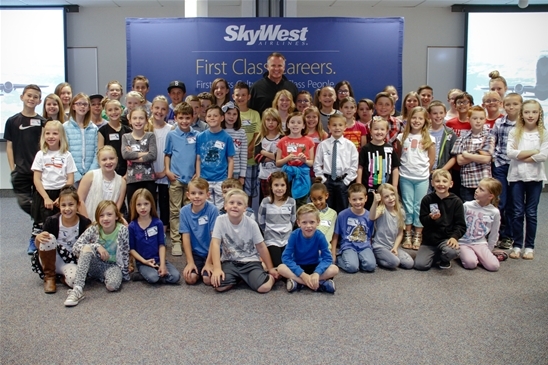 At the Reno, Nevada (RNO) station, crewmembers escorted kids aboard a SkyWest aircraft to learn more about the captain, first officer and flight attendant roles at SkyWest. The kids were presented with their wings to become honorary pilots after visiting with a SkyWest first officer to learn what it takes to be a great employee. 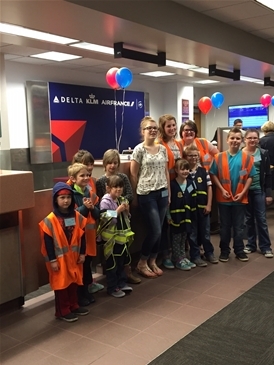 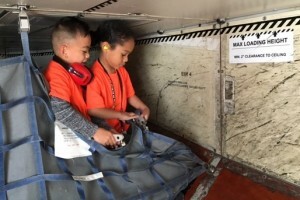 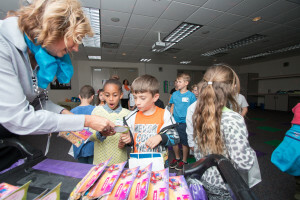 Beyond the direct SkyWest operation, kids at the Lewiston, Idaho (LWS) and Eau Claire, Wisconsin (EAU) stations were able to learn about some of the airline’s important partners that help keep the airline running safely. 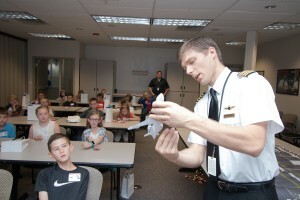 Local TSA Agents spoke shared a presentation on standards of safety and some of the machines they use to assist in the job. The airport also showed the kids their airport fire truck as the children learned about how the airline and airport work together. Pepper Siegel, cross utilized supervisor in Pasco, Washington (PSC) said, “my son appreciated how friendly all of the agents working were and how they were all willing to show him how things operate. 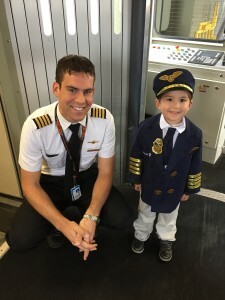 Neither of us can wait to see what is planned for next year! 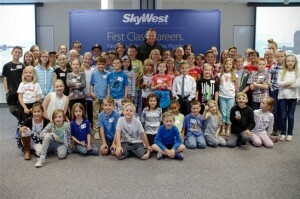 ” It was a memorable experience for all and a great reminder that it truly is the people that make SkyWest great.